iPhone OS 4.0 has been renamed to iOS 4.0 but all the under the hood features are same, we have already discussed how you can jailbreak iOS 4.0 using redsn0w 0.9.5 Beta and soon we will have updated redsn0w tool compatible with today’s released iOS 4.0 Golden Master Candidate. 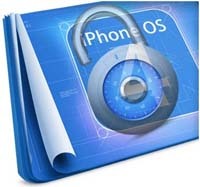 Now if you like to know what is the unlock scenario for iOS 4.0 then keep reading. iOS 4.0 is iPhone OS 4.0 which has been unlocked using Ultrasn0w as well as unofficial Blacksn0w tool, we feel soon we will have updated version of both of this tool which can unlock iOS 4.0 on iPhone 3G/3GS and thereby lets you use it with any carrier in the world. Another possibility to unlock iOS 4.0 is to use Pwnagetool 4.0 to update iPhone 3G & 3GS to 4.0 firmware while preserving baseband to unlockable baseband like 05.11.07 (iPhone OS 3.1.2) which can be then unlocked with old Blacksn0w or Ultrasn0w tool. iPhone dev team has already announced that they will be releasing jailbreak and unlock tool for iOS 4.0 soon after WWDC 2010 and iOS 4.0 availability. You must not update your iPhone to iOS 4.0 until iPhone dev team says so. Downgrade iPhone 4.0 to 3.1.2/3.1.3.